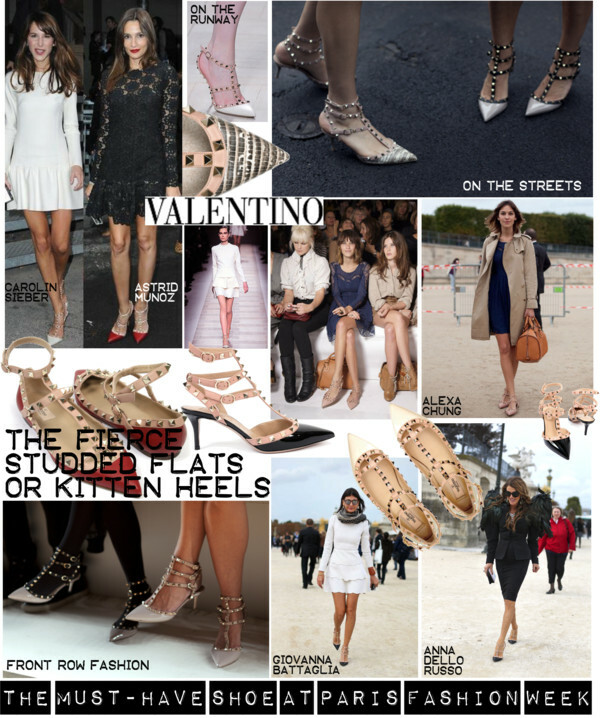 Spotted everywhere during Paris Fashion Week, the It-shoe of the season: Valentino’s most fierce kitten heels. Editors, stylists and celebrities have been rocking these pumps lately. The studs and the straps make this kitten heels sizzling hot, adding this touch of sexyness most 3-inch heels are missing. Even the flat version seen on Alexa Chung is amazing. The most popular shoe of Paris Fashion Week comes in different material and colour combinations and is still available at NET-A-PORTER.COM . But hurry, they are selling out fast. ... they are stylish and comfy in one!